One of the great things about Second Life is that you can travel an visit many replicas of real life places and all from the comfort of your home! In fact you can plan entire vacations and holidays on your magical teleporting journeys. I took such a journey today and my first stop was New York City. While there are many sims which have a New York City theme, the one which I teleported in, featured the Upper West Side and SoHo districts of New York City. 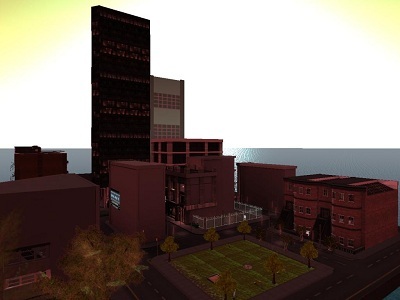 The sim is owned and operated by Joi Price and boasts many modern and fashionable residential and commercial properties. The lofts are spacious and remind you of New York City! The sim also has a website which is updated and a member’s only community, which you can join to network with other residents and New York lovers. I next decided I wanted to visit Europe and teleported into Dublin in Second Life. Dublin or Dublin Virtually Live, is a very famous sim with a thriving community. 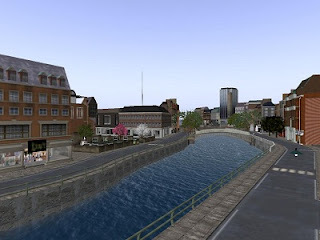 The sim incorporates many famous Dublin landmarks including, Christ Church Cathedral, Guiness Brewery, and Trinity College. The sim has a very popular pub, the Blarney Stone and has a 24/7 radio station, Dublin Radio. Dublin Virtually Live, is owned and operated by Ham Rambler. I decided to continue on my Europe theme, but wanted a more Scandinavian flair and ended up in SL Norway. SL Norway is owned and operated by Ey Ren and Mailinn Telling. SL Norway completed a move to the Blake Sea area last year and has added an airport for flying enthusiasts. Of course the sim boasts many waterways for sailing; it would not be Norway without sailing! I noticed many famous Norwegian landmarks, including the Lindesnes Lighthouse, a replica of the Norway National Museum, and part of Hanasbryggen or Bryggen, which is located in Bergen. SL Norway also has a thriving entertainment scene, the sims boast four venues. After leaving SL Norway I was stumped on where to go next, but eventually decided I wanted to go “old world”. 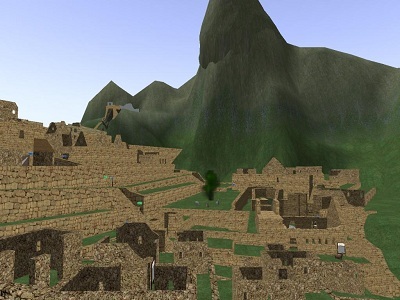 I was listening to the song “Machu Picchu” by the Strokes, an American rock band, and did a search for this mythical place and was able to find Machu Picchu 3D in Second Life. Machu Picchu 3D in Second Life, is a project by University of San Martin de Porres of Peru, to promote cultural and natural heritage of Peru in the virtual environment. I was able to learn about Machu Picchu and about the ancient Inca people. The sim also contained information about Peru and about the University of San Martin. Feeling tired from teleporting, I decided to make one last trip. Since it is almost Memorial Day in the states, I wanted to go someplace patriotic. A little searching and I were able to find Mount Rushmore in Second Life. 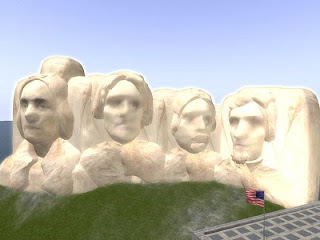 The replica of this famous American landmark was in a quiet location, with a great view of the sim and of the landmark. The sim also has a replica of another famous landmark, the Statue of Liberty. 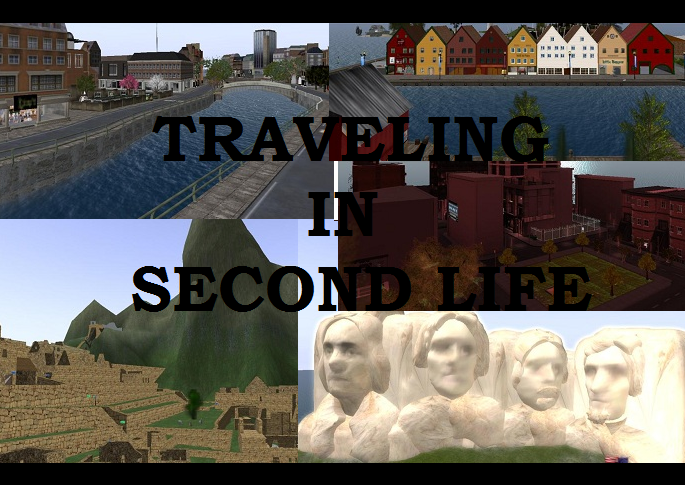 It was a great day of traveling in Second Life, until next time!